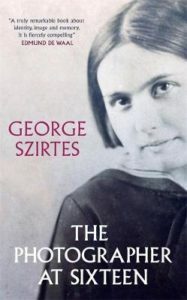 Join us for an evening with Poet and Translator George Szirtes, as he discusses his new biography of his mother Magda Szirtes, ‘The Photographer at Sixteen’. A poet’s memoir of his mother that flows backwards through time, and through a tumultuous period of European history – a tender and yet unsparing autobiographical journey. The woman who emerges – with all her contradictions – is utterly captivating. What were the terrors and obsessions that drove her? The Photographer at Sixteen reveals a life from the depths of its final days to the comparable safety of its childhood. It is a book born of curiosity, of guilt and of love.